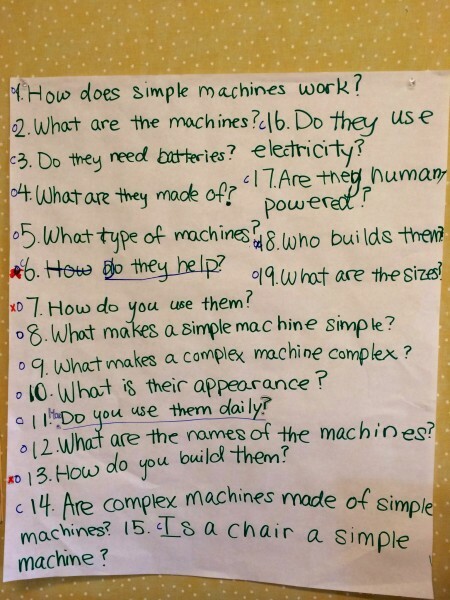 Brief description of the unit A unit examining the difference between simple and complex machines. Final QFocus Simple/complex machines make work easier. How do they make stuff easier? What are ways they help people? What makes a simple machine? Are there simple machines that make work easier than complex machines? How many complex machines are there? Which machines don’t use electricity? 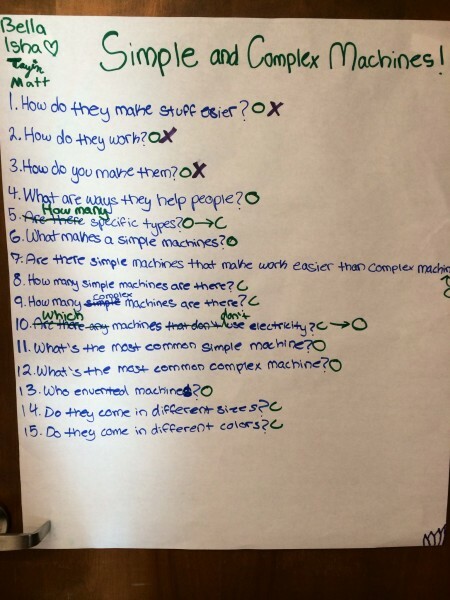 What’s the most common simple machine? What’s the most common complex machine? How does simple machines work? What makes a simple machine simple? What makes a complex machine complex? Do you use them daily? What are the names of the machines? 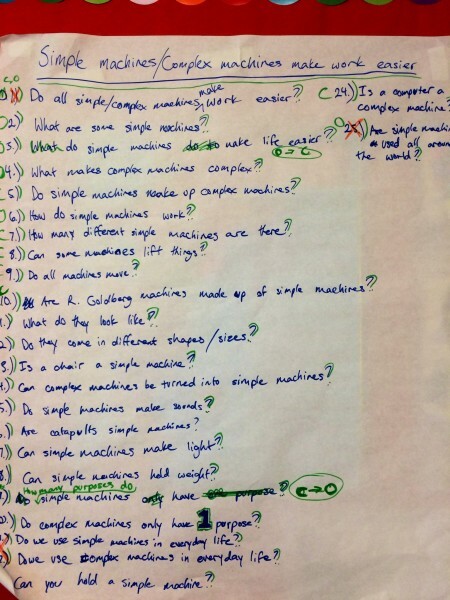 Are complex machines made of simple machines? Is a chair a simple machine? Do all simple/complex machines make work easier? Do simple machines make life easier? What makes complex machines complex? Do simple machines make up complex machines? How many different simple machines are there? Can some machines lift things? 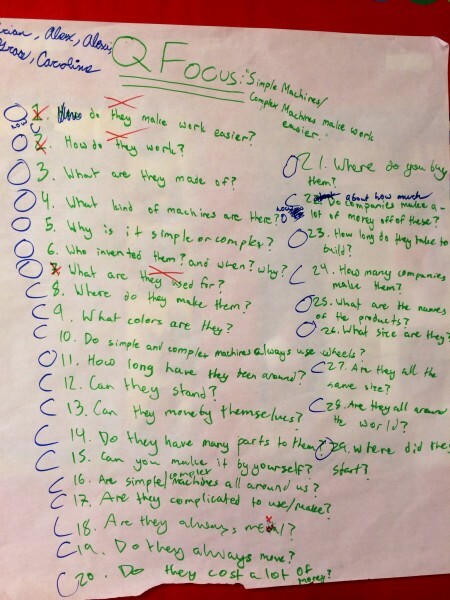 Are R. Goldberg machines made up of simple machines? Do they come in different shapes/sizes? Can complex machines be turned into simple machines? Do simple machines make sounds? Can simple machines make light? Can simple machines hold weight? How many purposes do simple machines have? Do complex machines only have 1 purpose? Do we use simple machines in everyday life? Do we use complex machines in everyday life? Can you hold a simple machine? Is a computer a complex machine? Are simple machines used all around the world? Do they make work easier? What kind of machines are there? Why is it simple or complex? Who invented them? and when? and why? Where do they make them? Do simple and complex machines always use wheels? Can they move by themselves? Do they have many parts to them? Are simple/complex machines all around us? Are they complicated to use/make? About how much do companies make of money off of these? How many companies make them? What are the names of the products? Are they all around the world? Students were super engaged in the listing and discussion of questions.